Share views, voice opinions, and come together to make change happen. Following the historic Rio Earth Summit in 1992, a lively debate was held at the Pregny campus of the Geneva International School. With the help Mr. David Batten, the outcome of that discussion led to the publication of the first Earth Focus magazine. Since then, 36 issues have been published and circulated worldwide to reach the very places being discussed in some of its articles fostering exchange and further discussion. Students at every level, whether primary, secondary or in higher education contributed content as well as regular input by a host of experts. With sustainability as the over-arching theme, a variety of social, environmental and economic issues were covered. Stories that had hitherto been unheard of were featured to help with the process of raising awareness. Even the youngest contributors demonstrated unprecedented levels of maturity when tackling these issues. Following a brief break, the magazine is now back. With previous versions being made available in digital downloadable format. The new editions seek to revitalize the style and layout designed from the outset to continue in both online and printed editions. The central focus remains seeking continued collaboration with students, fostering exchanges and inspiring positive action. Engagement with organisations working in related fields are also welcomed. Every new idea that can assist the transition into a sustainable way of living is actively sought. We encourage interested individuals of every age yet young in spirit to share their views, voice their opinions, and come together to make change happen. Discover the lastest issue ! 1. Introductory issue: Princess Catherine Aga Khan, Mountains and the Future, Climb for the World, etc. 2. Focus on Oceans: Monk Seals of Greece, Dolphins, Whales and Whaling, Animals in Captivity – Virginia McKenna, etc. 3. Focus on Forests: The Greening of the Environment, etc. 4. Focus on Antarctica and the Frozen Regions: Roots & Shoots, The Forgotten Peoples and their Struggle for Survival, Free Willy, etc. 5. Young People and the United Nations: Climate Change, Toxic Waste, Dolphins, etc. 6. 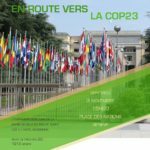 Our Rights: Children Call for Change – Focus on Rights, Extinction – the Alps and a personal view from Jane Goodall, etc. 7. Sustainable Tourism: Focus on Tourism, Landmines, Fossils etc. 8. Life in the Global Village: Two Worlds One Planet, Edward Goldsmith, The Global March, the Jaguar, Hague Appeal for Peace, etc. 9. Peace and Security: IUCN, Child Soldiers, War, Fur Trade, RSPCA, etc. 10. Revolving Resources: Recycling, Too many using too much, Seals, Tsunamis, The future lies in our hands, etc. 11. Inner Space – Outer Space: Our World, Our Space, Our Place, Tree of Hope for the New Millennium, Eco-conscience, Genetically Modified, etc. 12. Health: Action through Awareness – H.R.H. Prince Philip, Somaliland, Bottle-nosed Dolphins, Smoking, etc. 13. Rescue 2002: Earth Focus Special for the Earth Summit – Johannesburg – Cities, Be the Change, War, Young People, HIV/AIDS, etc. 14. Small numbers make a difference: Sharing the Load, Planet Progress, Roots and Shoots, Traditions, Turtle Carnival, etc. 15. Visions of the Future: Mont Blanc Tunnel, Youth Employment, Discover Ancient Egypt, Kids make a difference – Orangutan Project, etc. 16. Power to the People: Energy, Discover Solar Systems, Pedal for Progress, Become a Fossils expert, Solar Cooker invasion, etc. 17. Youth Employment: Change the World, Child Labour, Decent and Dignified Jobs, Prepare a Career – Become a Volunteer, etc. 18. Johannesburg 2002 in conjunction with Teen Planet (UNEP): Be the Change, The South African Perception, Mountain of Hope, Give us jobs, etc. 19. Drugs: Shedding Light on Drugs, A Pill for Everything, The Right to Health, Terrorism, Ocean Action, etc. 20. Culture and Traditions: Earth Focus remembers Prince Sadruddin, Global Culture, Culture and Traditions, Are you a TCK? , What Culture am I?, Go to Togo, Music Culture, etc . 21. Endangered Species and Spaces: Editorial from the Director of the IUCN, The Origins of Human Rights, Easter Island, Alpine Wildlife, Gorillas etc. 22. Water: Water as a Human Right, Water for All, Surfers for Sewage, Aquannia International Debate, Coral Reefs, What causes Pollution, etc. 23. The Information Society: Information, Media, Connecting the World, Advertising, Logo Mania, Cut and Paste Education, One Tree – One Child, etc. 24. Refugees: UNHCR, Who Am I?, Help for Street Children, Child Prostitution, Sexual Slavery, Recycling, Extreme Sports, Kraft Cares, etc. 25. Aids and Music: Music Against AIDS, HIV/AIDS: Stand Up for Human Rights, Music Makes a Difference, UN Development Goals, Rhythm and Blues, The Truth on Trial, Cool Creatures, etc. Marco Polo, The Laziness of the First World, Why Share? , etc. 29. Biodiversity Hotspots with information from Conservation International: Earth Focus Youth Debate on Urban Sustainable Development, 850 million still left hungry. 30. Latin America: message from the Governor General of Belize,the rainforest, peoples and traditions. 31. A Brave New World with editorial from Jean-François Rischard, the author of High Noon: 20 Global Problems, 20 Years to Solve Them. Global Issues Network Conference, 20006 Luxembourg, climbing Kilamanjaro when you are blind. 32. Sport and the Environment: Editorial Greenpeace China, stop poverty, energy, leading sport heros. 33. Tourism: Climate change and travel, Geoffrey LipmanUNWTO, Taiwan, Indonesia, Green Map. 35. Renewable Energies: Editorial Dr. Martin Beniston, Professor UNIGE member of the IPCC,climate change, taking action, oceancare. 36. Stolen Childhood: Editorial Margie Peden, Coordinaor of the Unintentional Injury Prevention programme Violence and Injury Prevention World Health Organisation, Child Poverty, Child Soldiers, deforestation in Brazil. 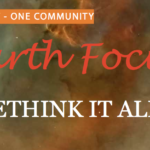 Send an email to editor@earthfocus.org and let’s work together.